Learn how to find and analyze base64-encoded Locky attachments in Pastebin. In this blog post we describe a hunting methodology to find and analyze base64-encoded malware (Locky installer) sent as an attachment in phishing emails found on Pastebin. This methodology leverages Recorded Future’s API and integrations with OMNI Intelligence Partners, and can be easily customized to suit your organization’s priorities and established hunting approaches. Identify recently deleted Pastebin entries (emails) that have base64-encoded attachments. Decode attachment text (e.g., using a tool such as CyberChef). Unzip the resulting ZIP file. Look up IOCs in Recorded Future to gain quick insight on nature of malware threat. 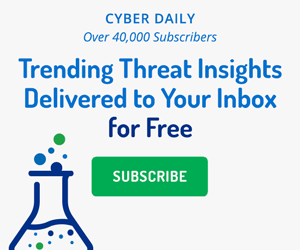 This technique can also be used to examine suspicious inbound email attachments, and serves as a useful general approach for both mature security teams with dedicated threat intelligence personnel and smaller teams looking for ways to boost their capabilities. To identify suspicious emails with base64-encoded attachments, we set up a process using Recorded Future’s API to identify deleted pastes that contain “base64 encoding” references (Recorded Future customers can get more details on the approach via this community support page). The API query targeted a specific set of pastes based on timing and keyword criteria, and a subsequent HEAD request to Pastebin checked whether or not the paste was still available or not. Example reference to deleted Pastebin entries containing base64-encoded information. Although the pastes have been deleted on Pastebin, Recorded Future users can obtain cached versions of the entries, including the base64-encoded attachment. Cached entry from Pastebin, including the base64-encoded attachment. Copying and pasting this text to a tool such as CyberChef reveals that this is indeed a ZIP file (note the “PK” prefix in the decoded text, which is the magic number or file signature for a ZIP file; “PK” are also the initials of Phil Katz, the co-creator of the ZIP file format). Decoded attachment (in CyberChef) showing “PK” prefix indicating this is a ZIP file. Unzipped .wsf file from the attachment found on Pastebin. Unzipped .js file from the attachment found on Pastebin. Looking up the IOCs in Recorded Future can provide very quick context to the nature of this malware; although there are very few references to this domain, the dynamoo blog does note that the domain happyfeet.de (and others found in this .js file) are associated with Locky. Domain Intel Card for happyfeet.de, one of the IOCs found in the “~_XASO0T_~.js” file. Additional context with even clearer verdicts are easily obtained in two clicks by utilizing our OMNI Intelligence Partners, DomainTools and PhishMe. Through these extensions, we quickly discover that the domain is blacklisted and carries DomainTools’s highest risk score, while PhishMe has positively identified the domain as part of an email campaign that installs Locky on the computers of unsuspecting victims that have opened the attached zip file. DomainTools lookup in the Domain Intel Card for happyfeet.de. PhishMe lookup in the Domain Intel Card for happyfeet.de. We have demonstrated a straightforward approach to find and analyze base64-encoded attachments in suspicious emails. By utilizing Recorded Future and its OMNI Intelligence Partners, the nature of the attack and related risks can be quickly discerned, giving security teams more advanced threat warnings (if hunting with external information, such as the Pastebin entries described herein) and faster time to remediation (if reviewing inbound email traffic). IOCs of seven suspicious emails identified through recent deleted Pastebin entries with base64-encoded attachments. The MD5 hashes represent both the ZIP archive and the unzipped .wsf or .js files. IP Addresses associated with domains were obtained via Farsight pDNS data. The ransomware threat is more dangerous and costly than ever, and that will only continue. Here are seven trends to watch for in 2017.